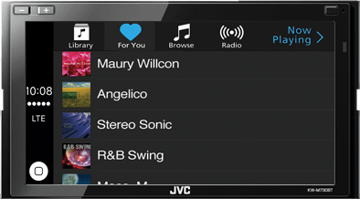 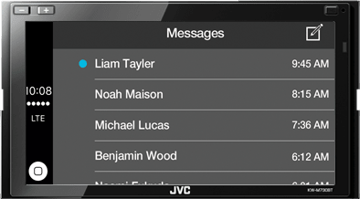 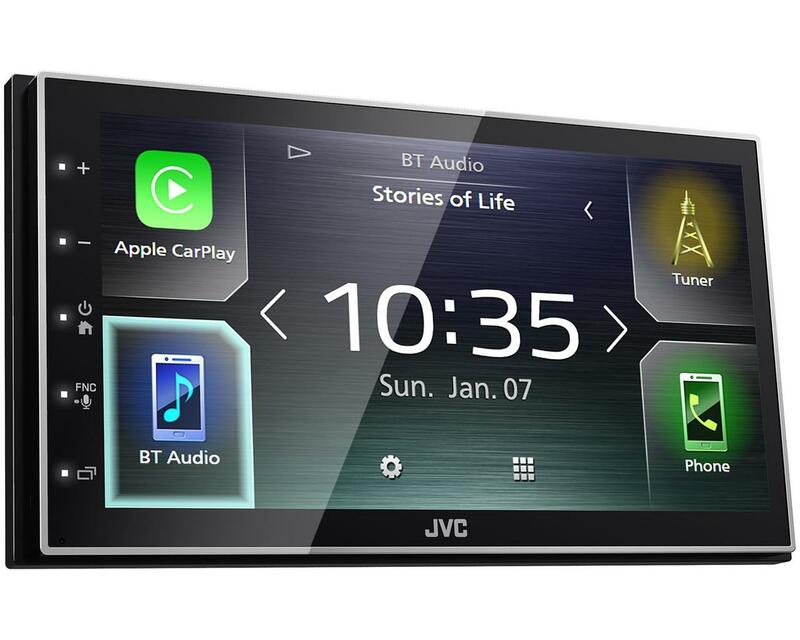 KW-M741BT 2-DIN AV Receiver • JVC U.K.
CarPlay takes the things you want to do with your iPhone and puts them on the big screen. 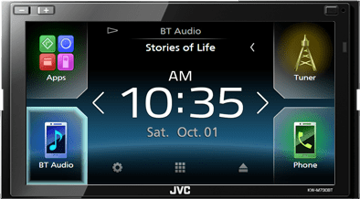 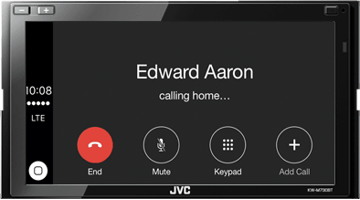 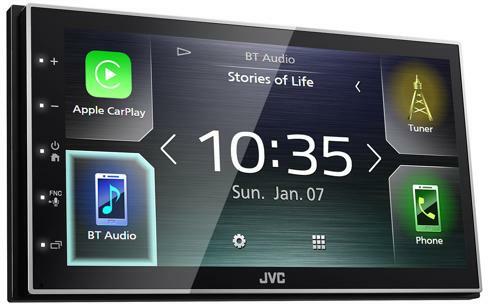 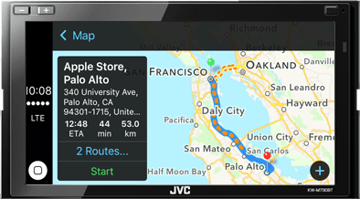 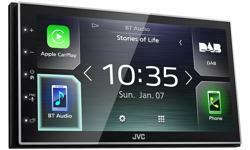 Things get even better with a JVC multimedia receiver — simply talk to Siri or touch the receiver’s display and get directions from Apple Map, make phone calls, listen to voicemail, send and receive texts, and listen to music all in a way that allows you to stay focused on the road. 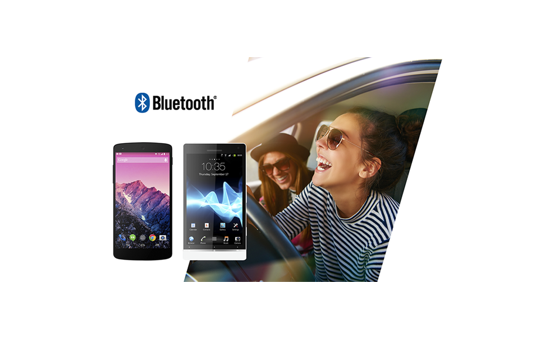 Just connect your iPhone device via USB and the automatic Bluetooth pairing function will work. 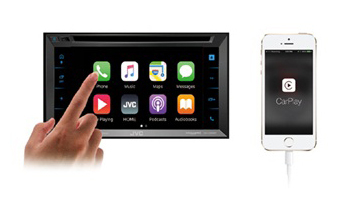 No complicated manual procedure to worry about. 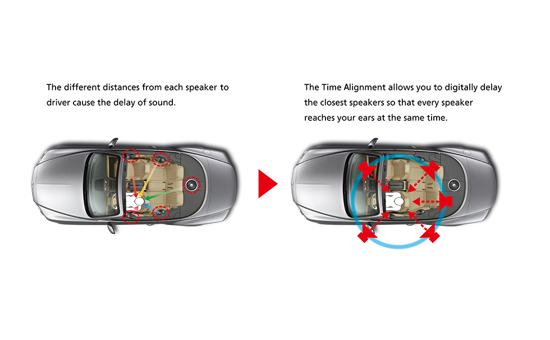 By selecting the speaker type and the distance to the centre of the listening position, the head unit will automatically adjust the timing of the sound output from each of the speakers so that the sound from each of the speakers will arrive exactly at the same time to the listening position.